There have been increasing needs, upon the introduction of an air-condition system, for air conditioners capable of simultaneously cooling and heating , because the space where cooling is required all year round and the space where cooling and heating should be changed over seasonally coexist in office buildings and other places. Also, in order to save cost and space, lately, multiple low-capacity units are being integrated into and utilized as a high-capacity outdoor unit with increasing frequency. Furthermore, from the viewpoint of environmental consideration, a demand is growing for an air-conditioning management system that makes it easier for users to comprehend the operating condition and the usage status of their air conditioners such as overheating, overcooling and unattended operation. 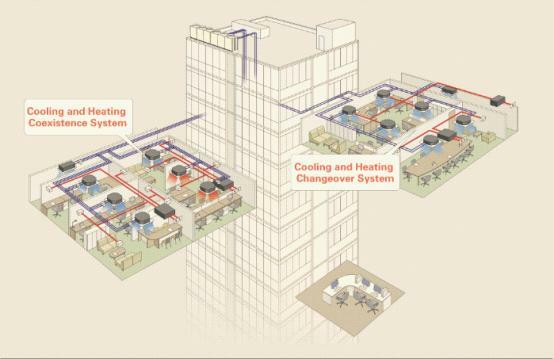 To meet various kinds of needs for an air-conditioning system for buildings, Hitachi developed a new multi-split air-conditioning system for buildings called “SET-FREE FSXNQ”. The series contain 6 outdoor units, from 8HP to 18HP, The biggest combination can reach to 54HP. Almost all the heat is used effectively, the system is more energy-saving. 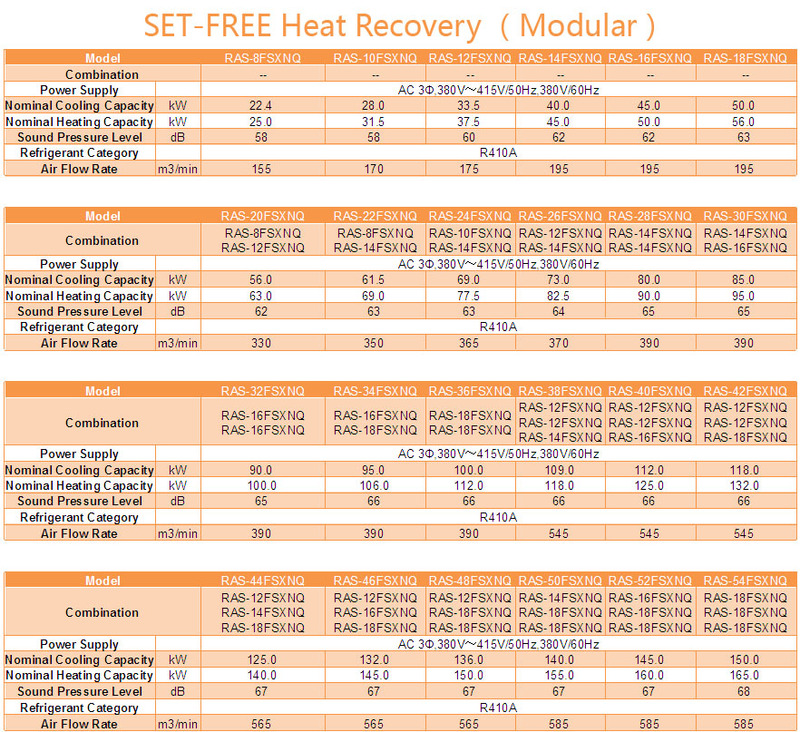 Indoor Unit No.1 & No.2 are in cooling, Indoor Unit No.3&No.4 are in heating. 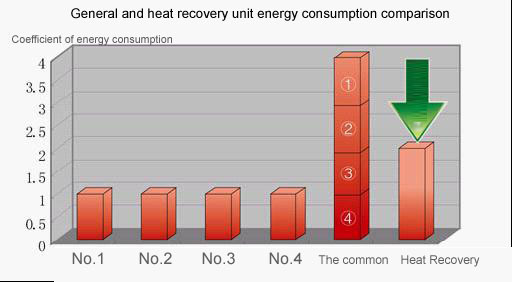 A heating recovery system offers high energy-saving efficiency by drawing heat from the rooms to be cooled, and effectively using it as a heat source for the rooms to be heated. The anti-corrision treated outdoor units have been designed to provide corrosion resistance against acid and salt corrosion. They have special anti-crossion treated heat exchanger,and adopt galvanized steel plates whiche provide higher corrosion resistance and increased adhesion capability for painting. Copyright © 2019. A-KOND. All rights reserved.